According to reports from Arctic researchers headed by Marco Tedesco, Greenland broke the melt record set in 2010 on August 8th of this year. With one month of melt still remaining, it appears that Greenland is now set to shatter all previous melt records since observations began 30 years ago. This record melt coincided with the hottest summer Greenland has experienced in at least 123 years, the last time melting covered the entire ice sheet, as indicated by ice core data. It has also resulted in structural damage to parts of Greenland’s infrastructure. “With more yet to come in August, this year’s overall melting will fall way above the old records. That’s a Goliath year — the greatest melt since satellite recording began in 1979,” noted researcher Marco Tedesco, assistant professor of Earth and atmospheric sciences from The City College of New York. Tedesco and his fellow researchers made use of an array of microwave sensors aboard a US Air Force Satellite system called the Defense Meteorological Satellite Program. These sensors tracked melt over the Greenland ice sheet and established enough data to conclude that 2012 melt had entered record territory by August 8th. The data Tedesco produced showed extreme melting in every region of Greenland including the higher elevation areas to the north. In these higher elevation areas, melt generally only continues for a few days. This year, so far, melt in these areas has occurred for more than two months running. 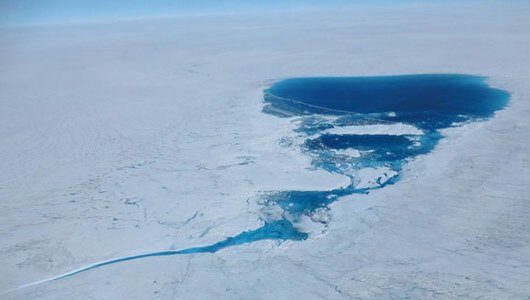 “Part of the meltwater will refreeze and part of the meltwater will run off to create streams and eventually take off into the sea and contribute to sea-level rise or the hydrological cycle,” Tedesco said during an interview with the magazine LiveScience. 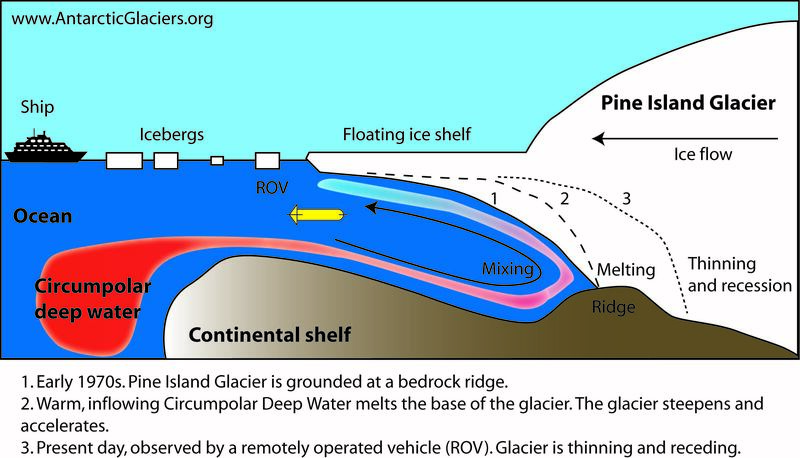 Melt water also tends to bore holes through the ice sheet, finding its way to the bottom where it serves as a lubricant that can speed the movement of glaciers heading to sea. For much of this summer, Greenland has experienced long periods of record warmth. This has likely contributed to increased melt volumes and durations. In addition, sea ice, which tends to serve as an atmospheric insulator for the Greenland ice sheet has diminished to record lows for much of the summer. This one-two punch is having a severe impact on Greenland’s ice sheet and is likely a major contributor to the record melt we’ve seen this summer.